One thing is for sure, if you’re going to watch it, please go in as spoiler-free as possible. There’s no doubt in my mind that knowing where it’s all headed undercuts the suspense that ends every episode like a guillotine. Every tiny advantage that the children gain is eclipsed by an even larger setback, until it all collides in a stunning finale that’s full of invention and emotion. It wasn’t all plain sailing either: Sister Krone was a weird sideshow that the anime failed to humanise, and if her climatic moment was fluffed, how would the rest of the anime fare? I needn’t have worried. They nailed it. Most of all, they nailed the friendship of Emma, Ray and Norman. Shonen anime have a habit of undercutting the vulnerability of their heroes by bestowing them with an invincible power that they need only master, but none of Emma, Ray or Norman were like that. Right up until the end, they felt vulnerable. A vulnerability best emphasised as we trace Isabella’s own past and her relationship with a younger boy that’s a lot like Norman. He plays guitar ever so beautifully, but ends up monster food like the rest. There’s a sad inevitability to it all. As Isabella stands on the wall that marks the boundary of her world, she stands alone, and a single person can only go so far. Emma stands with Ray and Norman and is infinitely stronger within herself. 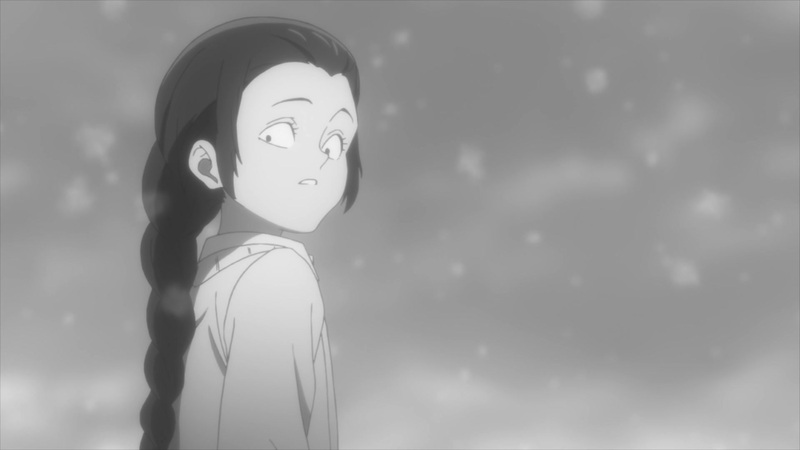 The Promised Neverland should be the next breakout hit: it should be on Netflix. Whether or not that ends up being the case is clearly beyond my control, but it seems so obvious that this is both good enough and addictive enough to hook in a million people in a matter of days. It needs an audience bigger than what Crunchyroll is capable of providing. 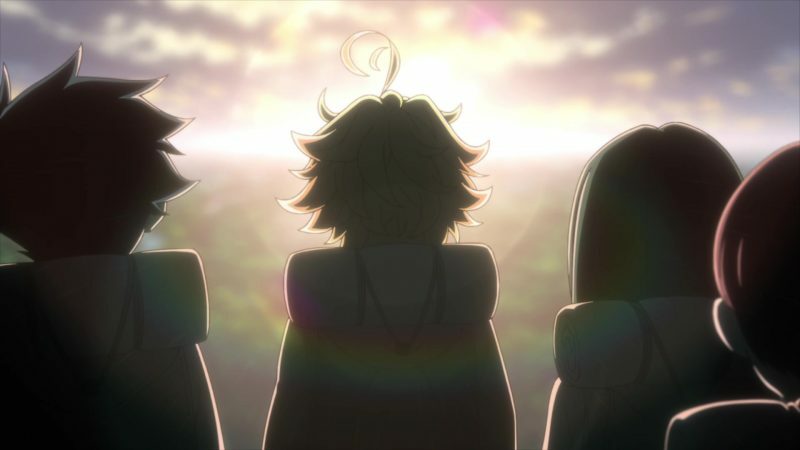 Crunchyroll reaches anime fans, which is fine, but The Promised Neverland should be reaching fans of good TV full stop.